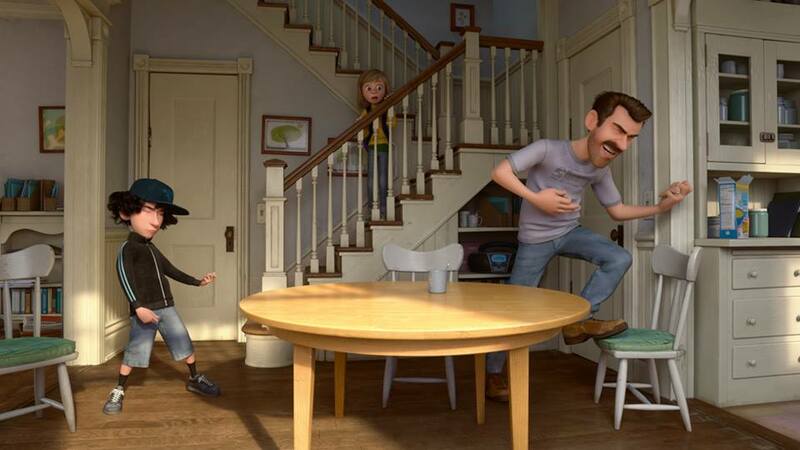 Disney and Pixar have, in recent years, had a knack for making highly entertaining, bite-sized sequels to their animated features in the form of short films. Riley’s First Date? is a seven minute follow-up to Pixar’s masterful Inside Out, and continues this trend of enjoyable mini-sequels. Even at its short running time, Riley’s First Date? boasts a great sense of creativity and humor. The story is simply that a boy arrives at Riley’s house so they can go hang out with some friends, but Riley’s parents go into a panic believing that the boy wishes to take Riley on a date. Riley’s mother tries to talk to Riley on a friendly level in an attempt to get all the details of the situation, while Riley’s father “interviews” the boy in hopes of scaring him away from his daughter. 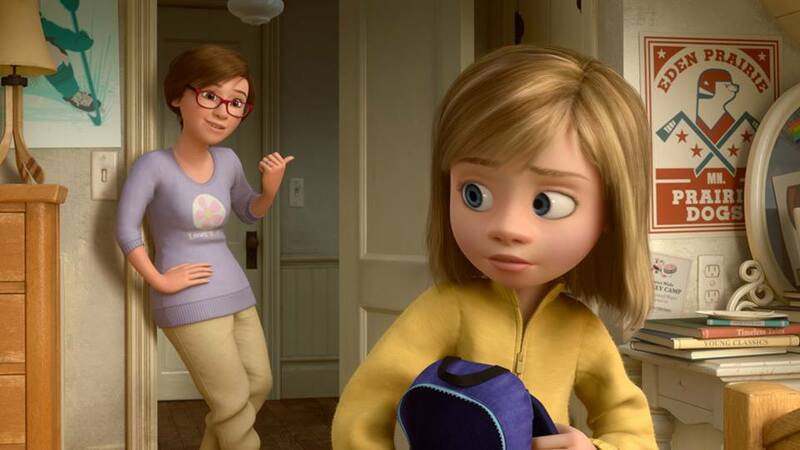 All the while we get glimpses into the heads of the four characters, and how their emotions react to the situation: Anger and Fear take over the control panel in the father’s mind as soon as he sees the boy, the mother’s emotions attempt to connect with Riley to little avail, and the whole situation is so embarrassing for Riley that Disgust walks out on the other emotions and calls it a day. Meanwhile, the boy’s emotions are more focused on skateboarding and roughhousing, leaving the boy himself to appear lethargic. Although it’s all over in just a few short minutes, Riley’s First Date? uses every one of those minutes to their comedic fullest, revealing new aspects of the characters’ personalities in fun and (true to the original film) inventive ways. It even includes the funniest AC/DC reference I can recall. 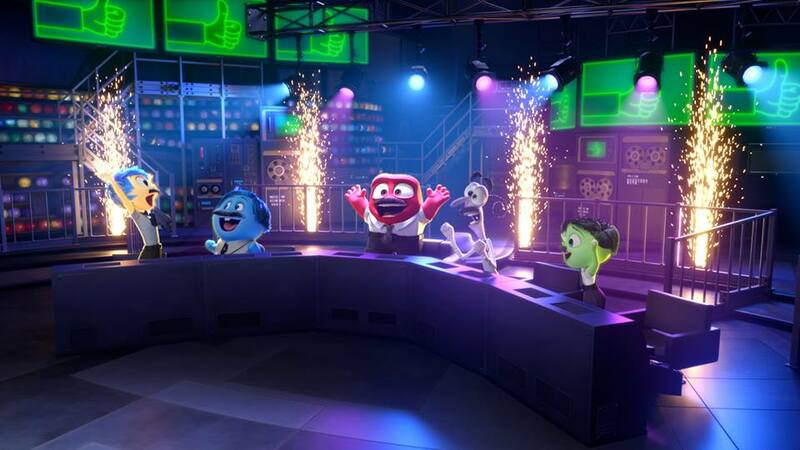 The concept of Inside Out is the richest idea Pixar has had, and that is reflected by just how much comedy and creativity Pixar can squeeze out of it when condensed into a few short minutes. Much like Frozen Fever, Riley’s First Date? successfully takes a beloved animated film, and turns it into a smaller scale, comedy-focused story without sacrificing the charm, likability or spirit of the original. Riley’s First Date? is far more of a straight-up comedy than the heart-rending motion picture it’s based on, but that’s okay for a short film. Especially one as hilarious and well thought out as this. I attended the D23 Expo (Disney’s version of Comic-Con) and I also didn’t know about this short until I was there, so I have a feeling it was only announced at the event. But they had a special screening at their animated movie panel, and I couldn’t resist writing about it. Definitely check it out when you get the home video release ofInside Out (as if people needed any more incentive to own Inside Out). Thanks! Count me as yet another person who did not know this short existed. I will make sure to check it out. It would be worth the purchase on its own, but the fact that it’s an extra bonus on the Inside Out blu-ray makes it all the better.